Regional Director Taylor Kitchens will cover the state in support of the Jack’s Family Fund. October 8, 2018: On October 27, Jack’s Regional Director Taylor Kitchens will get on his bike in the small town of Cuba, on the MS / AL line. From there, he’ll head directly across the state to cross the AL / GA line in Phenix City. The trip is in support of the Jack’s Family Fund, the nonprofit arm of Jack’s Restaurants that exists to support the communities Jack’s calls home. Taylor Kitchens has a history of using his bike to give back. In 2012, he participated in “Bo Bikes Bama,” raising $25,000 to support Alabama communities ravaged by the previous year’s tornadoes. In 2016, it was Camp Smile-a-Mile’s “Ride of Love,” where Kitchens generated nearly $20,000 for childhood cancer patients. 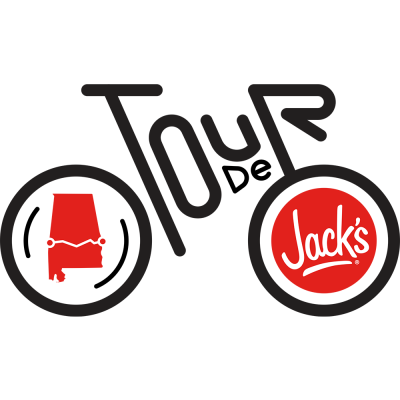 Please support Kitchen’s ride, Tour De Jacks, with an online donation.